Home > Light > How Rainbows work? Rainbows are one of the beautiful masterpiece of nature. When they appear during rain they catch everybody’s attention by their beautiful seven bands of color in circular arc shape. Rainbows have inspired many artists and writer from centuries and many fairy tales were mainly inspired by them. Rainbow presents demonstration of dispersion of light and it is evident that visible light is composed of different wavelengths which are associated with a unique color (spectrum of visible light). To see a rainbow sun must be at your back and rain falling in front of you. 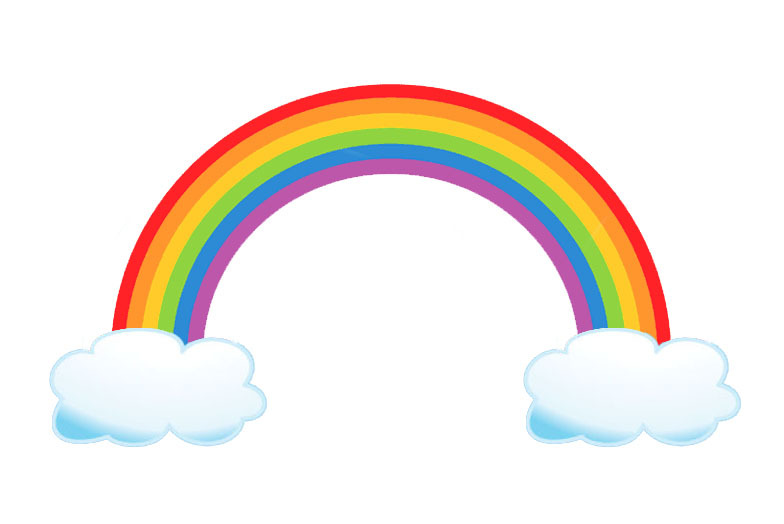 Rainbow is generated because of two physical phenomena refraction and reflection. 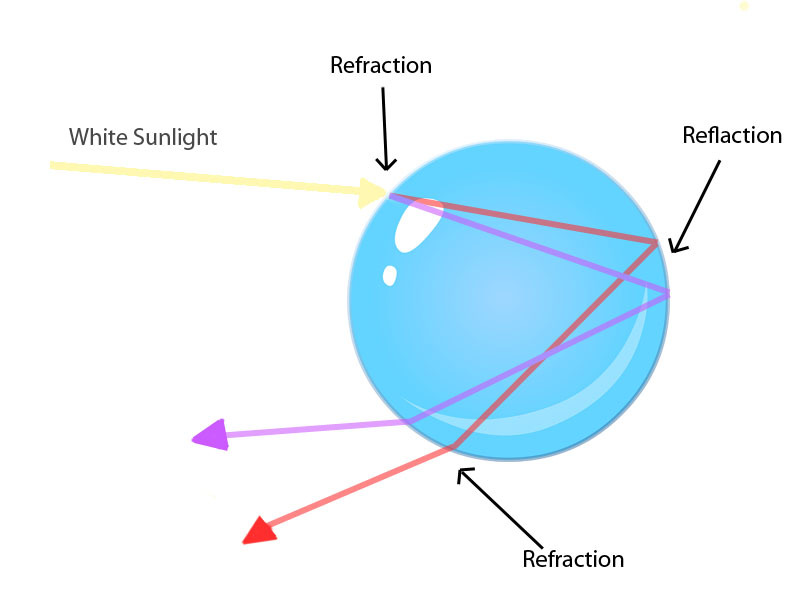 When sunlight enters in a rain drop it refracts and cause dispersion of white sun light into its basic colors (like a prism do) because different colors of light refract at different angles, then these rays are internally reflected from boundaries of rain drop and again refract out of rain drop and hit the observer’s eyes. Countless rain drops refract and reflect sunlight the net effect is the rainbow. As we observe the rainbow we see it has wide color bands, as if different rainy areas disperse only single wavelength color. So how rainbow actually shows wide color bands? Actually each raindrops in the rainbow only reflect one color of light depending on altitude from the observer to understand this we will take only two colors red and violet and two raindrops raindrop A and raindrop B placed at different altitudes in the atmosphere. When sunlight disperses and reflects in raindrop A only red light comes out to the direction of observer’s eye. Other colors comes out in lower angles and don’t reach to observer’s eye so the observer can’t see them. 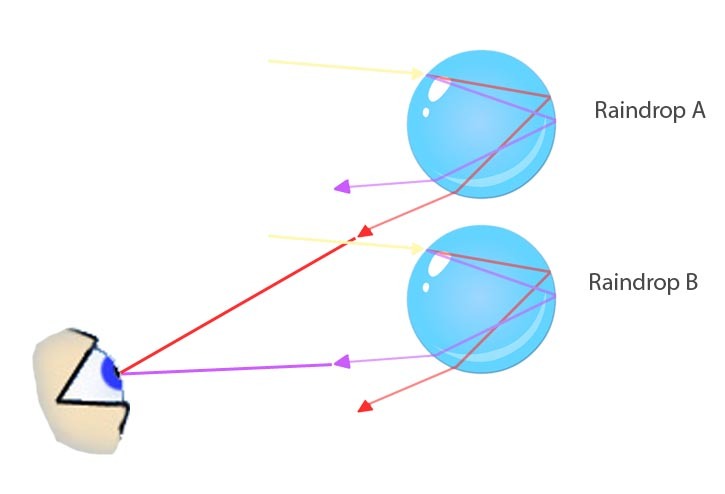 Raindrop B is much lower in altitude in the sky and at that position only violet light comes out at correct angle to reach the observer’s eyes. Abdul Wahab, "How Rainbows work?," in Science4Fun, April 13, 2019, http://science4fun.info/how-rainbows-work/.